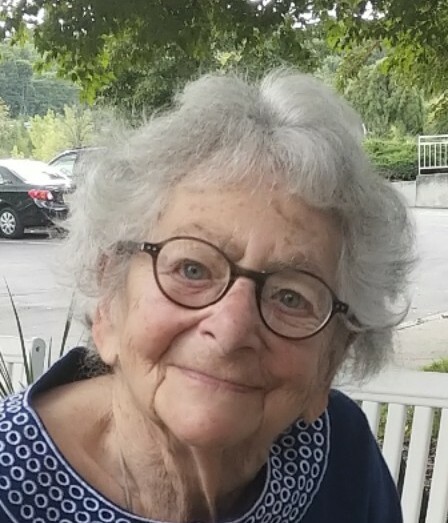 Dr. Ruth Jean (Livingston) Wynn, born September 15, 1927 in Chicago, Illinois, died peacefully on March 20, 2019 in Jamesville, NY. She was a remarkable woman, mother, grandmother, great-grandmother, teacher, mentor, artist, and friend to many. She earned her Masters and Doctorate from Syracuse University, all while she worked as a University professor and director of the University’s Nursery School and then Day Care Center, and also raised her own four children as a single-parent. She survived two bouts of breast cancer as well. Ruth earned her Bachelor’s Degree with a major in art from Bennington College. She returned to making art after her retirement from Syracuse University where she was a tenured professor. She loved all the arts and, over her life, soaked up as much of art, music theater, film and dance as she could. Ruth was always a voracious reader of all types of literature and journalism. She also very much enjoyed international travel, especially with friends. Ruth is survived by her sons, Peter and Daniel; her daughter, Amy; her daughter-in-law, Dana Wynn and son-in-law, Eli Horowitz; her grandchildren, Amanda Wynn Chambers, Jacob Wynn Horowitz, Ana Wynn Horowitz, Alexis Wynn, Julie Wynn Horowitz, Toby Wynn and Billie Wynn, and her great-grandson, Rowen Chambers and Rowen's father, Collin Chambers. She was predeceased by her youngest son, David, and her former husband William Farrar Wynn.